This year 23 dealers, ranging from Old Masters to Contemporary, will present their works on paper for just over a week (January 21-28; opening January 20, 4-8pm). They will either be showing in their own galleries or ones borrowed for the occasion conveniently all on the East side between 64th Street and 81st and between Fifth and Park Avenues. The dealers are mostly from New York but there are participants from out of town including colleagues from London, Paris and Madrid. If you have not received a brochure you can click on this link or find a hard copy at any participating gallery as well as Christie's and Sotheby’s. The timing of MDNY is no accident. It is at the time of the old master paintings and drawings sales at the aforementioned auction houses and others in New York. 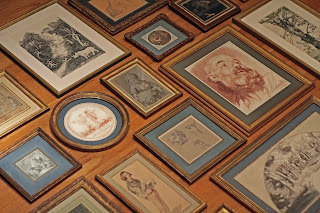 The Winter Antiques Show, which also has a few drawings dealers is on as well. The more the merrier, more “action” brings more visitors to the big apple. If you have the slightest interest in works on paper Master Drawings New York is one of the few “musts” of the year to get a taste for what is available on the market today. Naturally, in New York you will have the accent on East Coast dealers, in Maastricht more central European dealers, and at the Salons du Dessin predominantly French. In a brief introduction to the MDNY brochure Linda Wolk-Simon, head of the department of drawings and prints at the Morgan Library comments on the thoughts of the artist Sir Joshua Reynolds and his reflections on the collecting of drawings. As Reynolds notes drawings often “appear careless, and unfinished” sketches but they give us insight into the mind of the artist and “they give us the idea of the whole” with insight into the mind of the artist. It is often possible to identify aspects of a drawing with a specific finished painting. The detective work is finding which one. 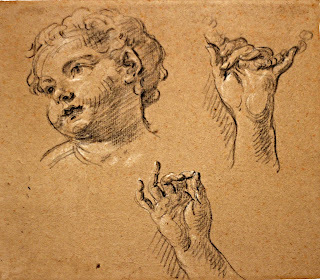 A case in point is the sketch by Pierre Parrocel (1670-1739), our choice for illustrating in the MDNY brochure. 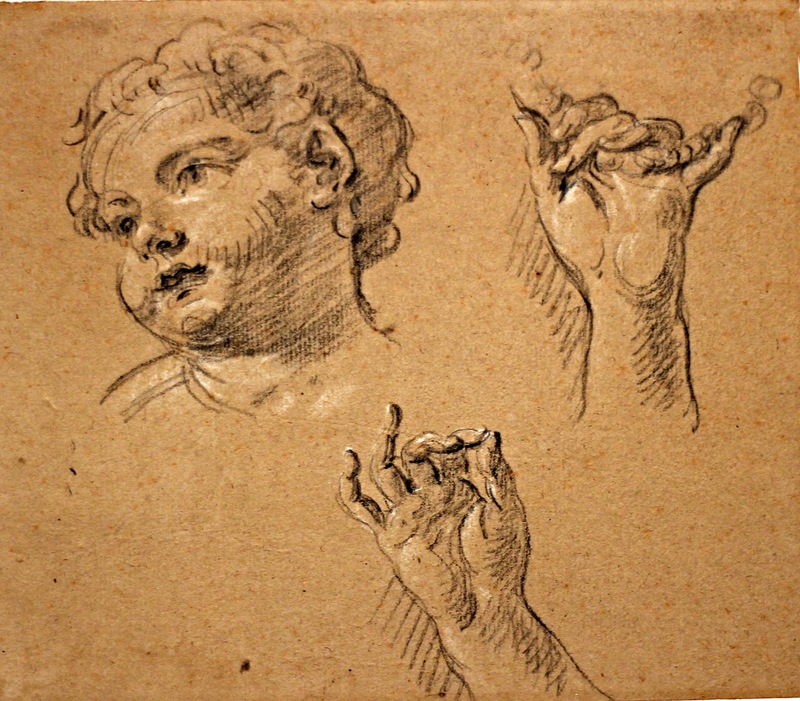 It shows the head of a child and a study of hands. In the art world there is often an expert on a certain artist. Someone all refer to for his/her expertise. That individual has usually spent years researching the artist and compiling his work and then, if you are lucky, publishing a Catagogue Raisoné, which in turn becomes the bible for that artist. The expert on Pierre Parrocel found that our drawing is a preparatory sketch for The Nativity painted for the Convent of Chartreuse of Moulins, today in the Cathédrale Notre-Dame de Moulins. We often read of a “new” or “re-discovery”, what this means is that some one has associated the work of art with a specific artist and found enough evidence of this that the attribution sticks. Please come by and make your own discoveries.